This entry was posted in Italy, Portofino, Travel and tagged boats, perfect day, Santa Margherita Ligure, walking, water. Bookmark the permalink. I loved Italy, but it was a long time ago when I was there. I’m sure it’s still wonderful. Judging from your photos, it is. I love Portofino. It was great that the rain cleared for you. Portofino is really gorgeous – I’m so happy that the rain ended and I got to see blue sky! It was a lovely and unforgettable day! Thank you Kamila – Portofino is so charming and photogenic! I can identify, with those halcyon days that we want never to end! Marvelous and beautiful day after your bumpy, windy and winding way there. The bus ride was challenging but well worth it when I saw the beauty of Portofino! Thank you – I couldn’t help but wonder where those stairs would lead! It really gets the imagination going! Beautiful, Meg. I sure wish I could go back to Italy some day. 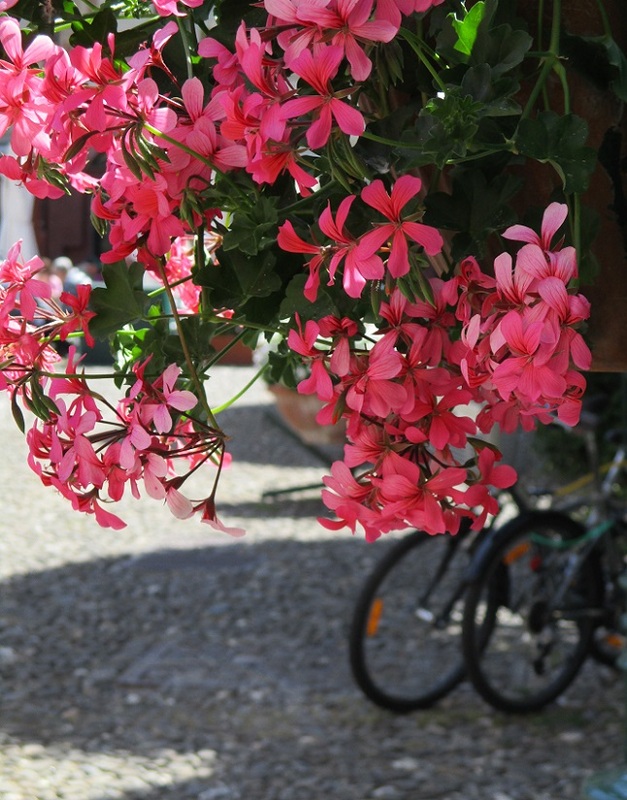 I hope that you get back to Italy too – it is really wonderful to see everything, especially in the spring! Every time we are in Italy, we wish it would never end! You are so right! I wish the time went much slower when I’m in Italy – I can’t wait to go back! 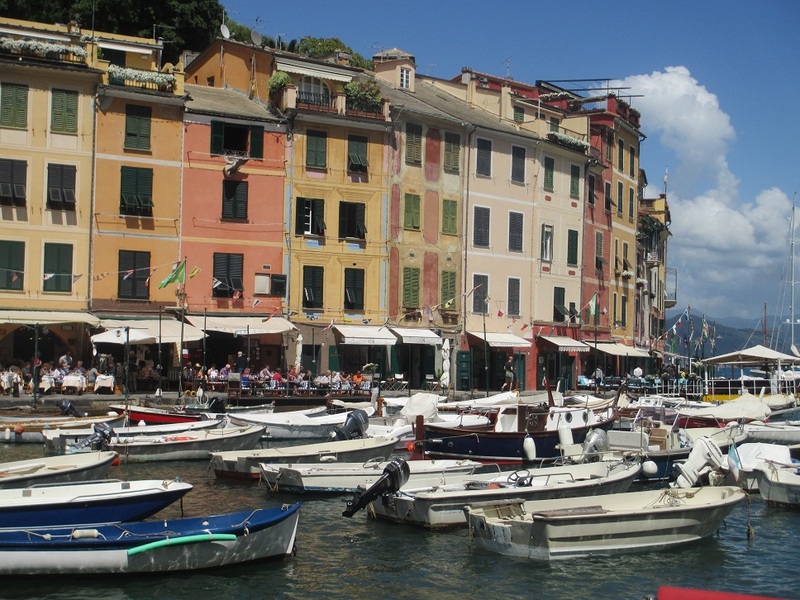 Portofino is one of my favorite places…what lovely pics! what a beautiful place, Meg! great captures! Thank you Lola – it is really a gorgeous place! Ok. I’m sold. Portofino has just been added to my list. Looks wonderful, Meg. You will be happy that you put it on your list Renee – you won’t want to leave though! Thanks – it was fun imagining what was at the top of the stairs! So beautiful – I love the stone steps, the flowers, the color of the buildings – everything! I’ve been on a bus ride like that in Rome too. It was going to the Vatican and kept stopping to let more people on even though it was already packed full. We didn’t even realize the reason it was so crowded was because the Pope was going to be making an appearance! I am gasping at the idea of 1700 photographs to sort out! But I love the ones you have already sorted and posted for us here. I didn’t realize how many pictures I took but it will be fun looking and them and remembering all the places I got to see! It certainly looks like a day you wouldn’t want to end, Meg :) I’ve never been to Cinque Terres but I would love to! And Portofino certainly looks pretty as a picture. How long were you away in total? I like the stone stairway. The housing is really tight–or it appears to be. The stairway was intriguing! You’re right about the houses too – they are very close together.